Blue Smyth sewn journals in portrait orientation. 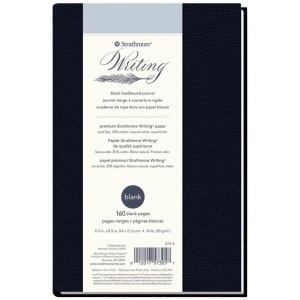 * Includes gray end sheets with inside pages of natural white paper with a wove finish (25% cotton). 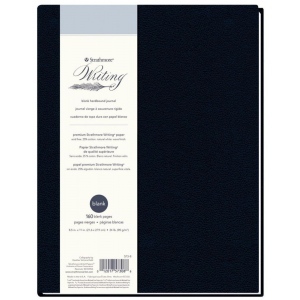 * Hardbound journal with blank pages.